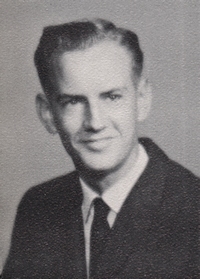 Obituary – Sherrard, Larry David « Perry High School Alumni Association, Inc.
﻿Basketball ’60-’61; Baseball ’59-’60; F.F.A. ’59-’62; F.F.A. Secretary ’60-’61; F.F.A. Reporter ’61-’62. Larry David Sherrard was born February 26, 1945, in New Orleans, Louisiana to David Sylvester Sherrard and Mary Ann Hensley Sherrard. He left this world on November 29, 2014, at the age of 69, in Dallas, Texas. In May 1962 Larry graduated from Perry High School in Perry, Oklahoma. On April 2, 1966, he married Patty Sue Davis at the First Baptist Church in Perry, Oklahoma. 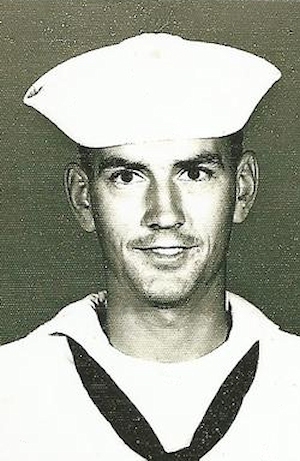 On August 11, 1966, he joined the United States Navy. He served as Data Processing Tech, 2nd Class on two ships, USS Niagara Falls AFS-3 and the USS White Plains AFS-4 during his four years of duty. He was honorably discharged in 1972. Larry later retired from Stephens & Johnson Operating Co. as an oilfield pumper in 2011. Larry is survived by his wife, Sue Sherrard of De Leon, Tx; three children, Bill Sherrard and wife, Gina, of Rhome, Tx, Brian Sherrard and wife, Teisha of De Leon, Tx, and Bobbette Sherrard Walker of Lake Worth, Tx; brother, Ralph Sherrard and wife, Charlene of Moore, Ok; grandchildren, Samantha Adkins and husband, Jay, of Little Elm, Tx, Jacob Wadley of Arlington, Tx, Joshua Wadley of Lake Worth, Tx, Andy and Adam Walker of Lake Worth, Tx, and Logan and Lindsi Sherrard of De Leon, Tx; one great-grandson, William Wyatt Adkins of Little Elm, Tx; nephew, Kevin Sherrard of Ok; and niece, Kim Sherrard Dietrich and husband, Duane, of Ok. Larry was preceded in death by his parents. Graveside funeral services, with military honors, were held Tuesday, December 2, 2014, at 10:00 a.m. in Mount Marion Cemetery in Strawn, Texas with Pastor Michael Orsini officiating. If desired, memorial contributions may be directed to Strawn Trinity Baptist Church, in memory of Larry.